music – Glaswyll Entertainment LLC – Fun First! FROM WIKIPEDIA: King Gizzard & the Lizard Wizard is an Australian psychedelic rock band that formed in 2010 in Melbourne, Victoria. The band consists of Stu Mackenzie (vocals, guitar, flute, keyboards), Ambrose Kenny-Smith (vocals, harmonica, keyboards), Cook Craig (guitar, vocals), Joey Walker (guitar, vocals), Lucas Skinner (bass), Michael Cavanagh (drums, percussion), and Eric Moore (drums, percussion, Management). The band is noted for its energetic live performances and prolific recording output, having released twelve full-length studio albums since 2012. 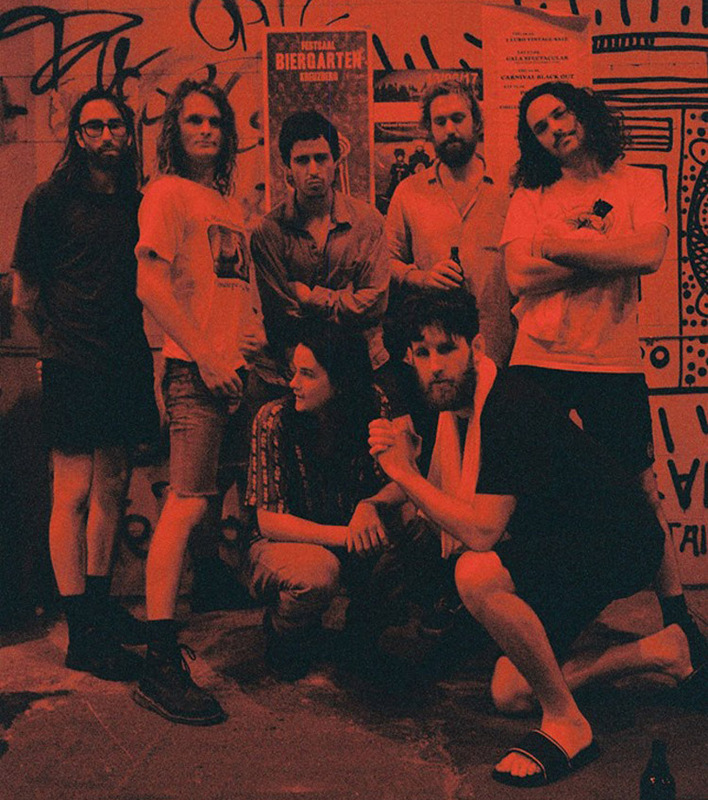 King Gizzard & the Lizard Wizard’s early work was primarily a blend of surf music, garage rock and psychedelic rock, while more recent releases show a broader range of influences, including elements of film music, progressive rock, folk, jazz, soul and heavy metal. 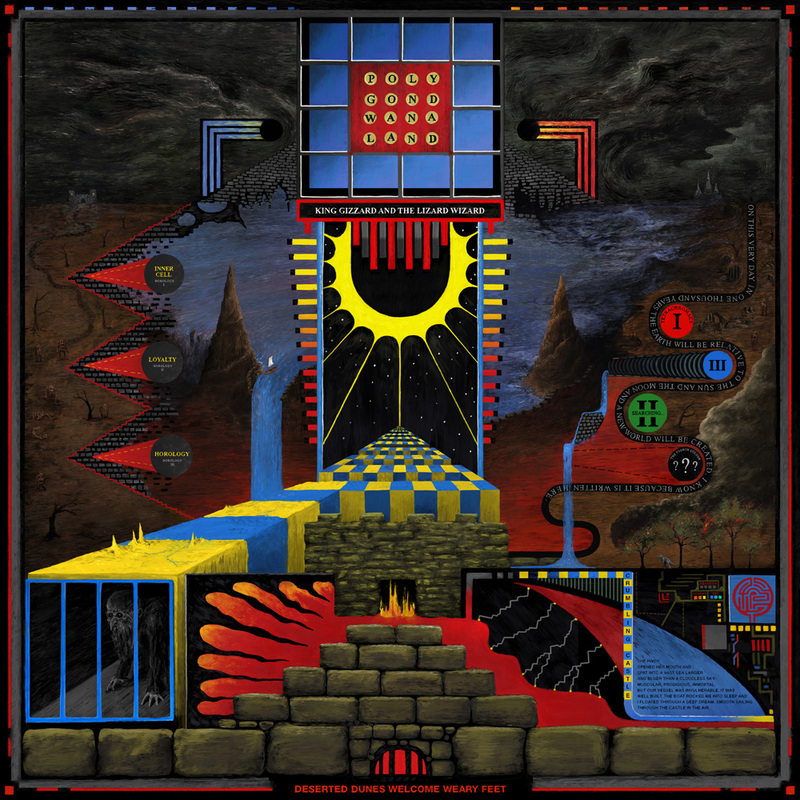 Their free album POLYGONDWANALAND, released November 17th, 2017, is available from their Bandcamp page and is 100% free to download, copy, distribute, etc. In their words, “This album is FREE. Free as in, free. Free to download and if you wish, free to make copies. Make tapes, make CD’s, make records.” They actually encourage you to start your own record label using their downloadable masters. Polygondwanaland has inspired my work, especially the tracks Crumbling Castle, and The Castle in the Air. The entire album is quite a journey. I hope you enjoy it as much as I have! If so, give them a follow on Facebook. Watch a live performance on KEXP Radio’s Youtube channel, and learn more about the band in the interview that follows.